ARE YOUR STUDENTS UP FOR A CHALLENGE? Field trips are educational experiences that allow students to apply their lessons to the real world. These are often some of the most memorable moments of a students career. Let's help make your field trip a memorable one! Book between Monday-Thursday and the entire facility is yours! You will have a completely private space. 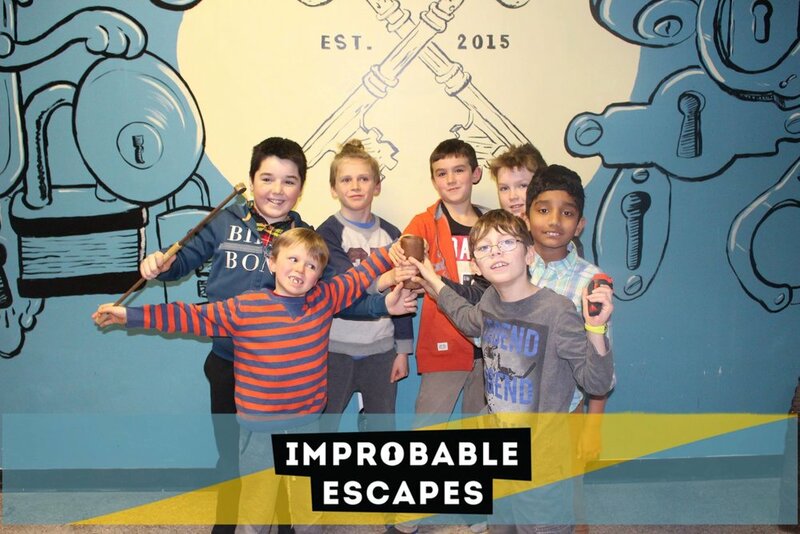 Why choose Improbable Escapes for your next field trip? Organize your teams and mix students in a strategic way. Allow them to build stronger relations with other students that they may not necessarily interact with otherwise. 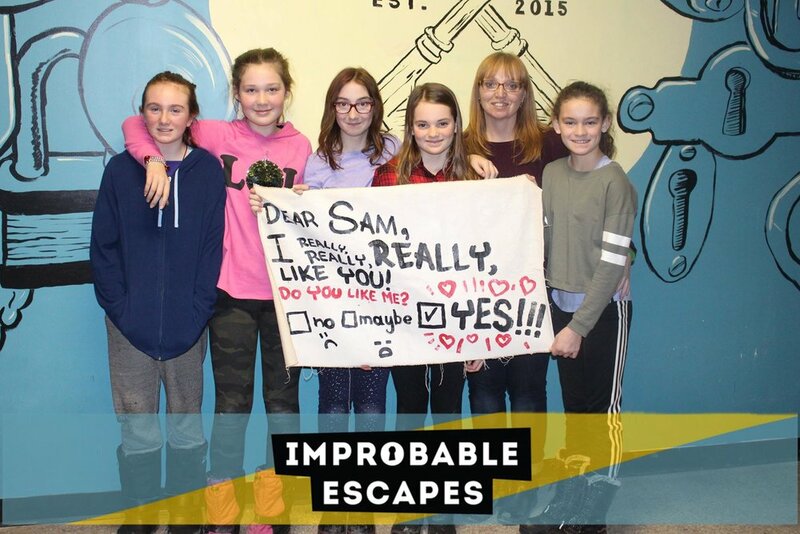 New perspective is gained by students while playing escape room games at Improbable Escapes. They interact with different stories and ideas, which force them to think outside the box. Escape rooms allow for variety outside of routine lesson plans. Instead of learning in a classroom, students can actively learn and use teamwork, communication, and leadership principles. The Improbable Escapes team has a very vast educational background (i.e. Communications, Biochemistry, Psychology, Computer Science, Art, Firefighting, Industrial Electrical Engineering Tech and more). We're always happy to talk to students about various education paths that lead to working in a very creative industry. Leadership skills are both taught and used organically in escape rooms. Natural leaders often step up to help take control of the group, while quiet participants also become leaders by solving puzzles and using their skill-sets to become involved in the experience. Escape rooms force students out of their shells and to communicate with each other in a new environment. 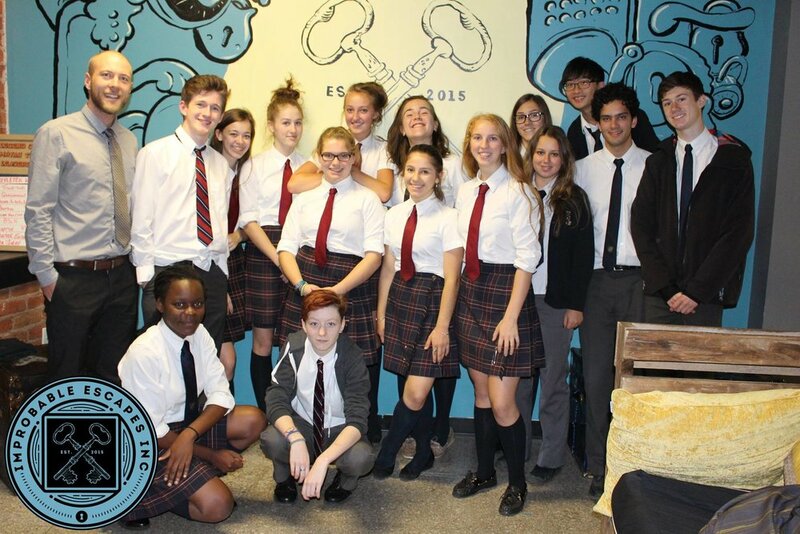 During an escape room, they can connect on a personal level that is harder to replicate in a classroom. Interested in building an escape room with your students around the curriculum? We can help! One of our game developers can come to your class and help create puzzles around topics in your curriculum with your students. This teaches them about different topics in fun and engaging ways. The Improbable Escapes team has traveled throughout North America lecturing and giving talks on learning through gameplay, so we're very experienced in helping people learn through playing puzzles. Please contact us for a quote.